At long last, it seems we might get to see what Amazon has really accomplished in their efforts to update the Kindle Fire to be competitive with other big name tablets like the Nexus 7. Signs point to a hardware upgrade coming in the next few days, which would be good news given that the previously speculated initial release date was two weeks ago now. This week may just give us a good idea of exactly how much of a chance the Kindle Fire has of retaining its now-dominant position in the Android tablet market. It seems safe to say that Amazon intends to at least announce their new products in a batch. This would include a new Kindle Fire, possibly a larger scale variation on the Kindle Fire, and at least one new Kindle eReader. This is based on a combination of intersecting timetables and the previous Kindle eReader release that brought us the Kindle Touch. Since Amazon is basically required to put out a front-lit Kindle at this point if they want to stay competitive in terms of hardware, it would make little sense to miss an opportunity to join that side of the business with the more versatile tablet side. To make room for the expected new release, Amazon has quietly discontinued a large part of their eReader selection. The Kindle Keyboard WiFi is simply gone. The Kindle Touch 3G appears to be gone as well. Even the WiFi version of the Kindle Touch is currently listed as having delays from 3-5 days for the Special Offers option and no stock at all for the ad-free model. We also noticed that earlier this week Amazon used the Kindle DX as one of their Daily Deals selections, discounting it by $110 for a day. The basic $79 Kindle is still available, but it would be surprising if anything else is shipping out right now at all, regardless of rough delivery estimates made by the Amazon.com site. The Kindle Fire, on the other hand, is still listed as in stock and shipping immediately. Whether this is true or not is open to speculation, but it would fit with some of the rumors we have reported here previously. Amazon may be planning to continue offering the existing Kindle Fire at a discounted rate for a while in order to increase the rate at which users attach themselves to the Amazon digital services ecosystem. A lot has been done lately to prepare for this release. Amazon has updated their music, video, and Android gaming capabilities significantly since a year ago when the first Kindle Fire was announced. While nobody really expects that the Kindle Fire 2, or whatever Amazon decides it will be called in the end, will be able to claim superiority over the Nexus 7 on paper, that doesn’t mean that it will necessarily have trouble competing. A decent facelift, improved software, and more integrated services than ever before are a guarantee. Somehow it doesn’t seem like they’re likely to stop at that, though. The basic, non touchscreen version of the Kindle just got a new update. The update includes improved readability, parental controls, and better support for graphics. Good to know that this model is still getting some attention since most of the focus seems to be on the Kindle Touch and Kindle Fire. The text display is supposedly sharper and intends to provide better readability. I have a Kindle Touch. I am curious to see how the displays compare for both versions. Since the $79 Kindle has physical buttons, it probably doesn’t experience the issue with text trails or shadows that the Kindle Touch does. The best part of the update in my opinion, is the ability to view comics in side view. The e-ink Kindle is so close to the nature of traditional comics, as opposed to the bright tablet screens, that it is only natural that it would include accommodations for better viewing. For children’s books, the update includes Kindle text pop up, the ability to zoom into part of the screen. Books that allow zooming have that capability. I’m not sure how important adding parental controls is because the web browser isn’t all that easy to use to begin with. However, a lot of young kids got this model since it is inexpensive and simple to use, so having parental controls is a nice feature to have. With all of that said, the manual download is available for those who want to go ahead and get the new update. This is also handy for those who don’t have wi-fi access. If you’re willing to wait, the update will download automatically onto your Kindle sometime soon. In their usual fashion, Amazon is being vague about when exactly it will happen. The most inexpensive member of the Kindle family has just been upgraded a bit. Amazon has released the new 4.1.0 software update for the Ad-Supported $79 Kindle. It comes with a few useful features that customers have been asking for as well as compatibility improvements that get the device ready for upcoming developments in Kindle books. The update includes a new high contrast font meant to improve the reading experience. Supposedly this will create a more “paper-like” appearance and address some of the concerns that customers have had about the basic Kindle’s display quality. How much of an improvement it is will be for you to judge. In an effort to make the Kindle more family-friendly, Amazon has also finally introduced some Parental Controls. These controls will allow parents to restrict access to the web browser, Kindle Store, and the account’s Archived Items. This will be a big help for anybody who keeps their family on the same account. It should also allow for less caution in purchasing for customers otherwise worried about privacy and propriety. Dictionaries have been given their own category by default. This makes organization a bit simpler. Look for “Dictionaries” in your Home and Archived Items. Everything else that has been included in this update is meant for supporting new book features. In book that support such things, Amazon has added improved functionality for viewing images and tables. Panning and Zooming should be somewhat smoother as well. 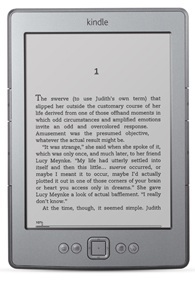 More complex layout options, largely related to Kindle Format 8, are now supported. While KF8 is still in Beta, it is already supported on the Kindle Fire and Amazon seems serious about making the transition in a timely manner. Possibly connected to the Kindle Format 8 compatibility is the inclusion of support for Kindle Text Pop-Up and Kindle Panel View. Children’s books in the near future will begin to feature Kindle Text Pop-Up, though it is still in question whether these will be optimized for E Ink Kindles. Color is usually the preference when we’re dealing with kids. Kindle Panel View is intended specifically for comics, which have not as yet had a major presence in eReading. Assuming Amazon can persuade comic publishers to adopt a format so rigid as to allow each individual panel to be viewed sequentially rather than as part of a page, this will change things a bit. In many cases the feature will already work and Panel View titles are already available through the Kindle Store. Kindle owners should be seeing the update arrive on their device in the next couple weeks via WiFi. If you do not have access to WiFi, keep it turned off the majority of the time, or simply don’t feel like waiting then you can download the update manually. Check out the Kindle Software Update page for more detailed instructions. Any side-loaded updates will require a USB transfer cable and a computer with an internet connection. The Kindle Touch has had its firmware updates in preparation for a multi-national release, it seems. Version 5.1 actually brings us a number of useful features that users have been vocal about desiring for their eReaders. While the removal of the physical keyboard may have opened the door for Kindle availability in languages besides English, this is probably the biggest step we have seen so far in terms of making that a reality. It is finally possible to switch back and forth between portrait and landscape orientations on the Kindle Touch. While this has long been an option for Kindles, for whatever reason it has taken until now for the Touch to get with the program. Good news since there are situations where you can’t reasonably do without it. Kindle users can now choose from English, German, French, Spanish, Italian, or Portuguese according to personal preference. While reading, you can now highlight a word or selection and have it translated for you on the spot. Translations go through Bing Translator and are obviously going to be imperfect, but this is both fun and useful. Unfortunately, it won’t work very well if you like to read with the WiFi turned off to improve battery life. Connectivity has been improved and users have more options. Connect with WPS and some WPA2 Enterprise setups. This one is restricted to English for the moment, but the Kindle Touch can now read to you, including some magazine and newspaper articles. Perhaps more robust language support will come later? This will basically just tell people what you’re reading, should you feel like sharing. 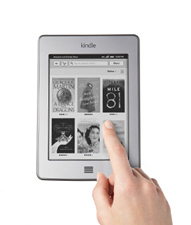 It fills in a feature missing in comparison to Nook and Kobo options, but doesn’t excite. Let’s face it, onscreen keyboards are annoying. On the Kindle Touch it is even worse because of the refresh rate of E Ink. Now typing is far more manageable. Huge improvement! This one was pretty much just housekeeping for Amazon. If you’re going to try and build a new standard, the least you can do is make sure that the latest generation of the device it is being designed for can handle it. Might make periodicals more readable, but overall reflowable text is still the biggest advantage of an E Ink Kindle. The Kindle Touch just plain works better now, really. They added enough that there should be reason for users old and new to be excited here. Landscape mode might have just been crossing an essential fix off the list, but things like keyboard suggestions and translation on demand change the experience for the better. I’m definitely looking forward to the next generation of Kindle now that we have an idea what the innovation it brings to the table will be, but for now I may finally be recommending the Kindle Touch over the Kindle Keyboard for the first time. While the news that Amazon had jumped at the chance to update the Kindle for iPad app to take advantage of the new Retina display being included in the iPad 3 was interesting, it didn’t accomplish a whole lot in terms of feature improvement for the end user. In fact, many complained that they noticed some small but useful options having been taken away quietly in the course of the update. One might expect that this is an effort to draw slightly more attention to the usefulness of Kindle eReaders, or at least the Kindle Fire, but with their newest release of Kindle for Android Amazon has demonstrated that they are still interested in making sure that users stay satisfied. The most important feature update by far is the new ability to use Amazon’s Send-to-Kindle application to transfer files between your PC and your Android device’s Kindle app. Say what you will about the inconvenience of wireless transfers of large quantities of files, it will never be anything but a major advantage to be able to instantly move any compatible file right to the device you want to use it on. Nobody really likes having to keep track of their data transfer cables or swapping SD cards around, as far as I can tell. While it will probably come up slightly less, at least right away, the inclusion of Kindle Format 8 compatibility for the Kindle app should make a big difference going forward as well. This format, announced in October of last year but only released officially back in January, gives the person generating each title far more control over the way their work is displayed than ever before. 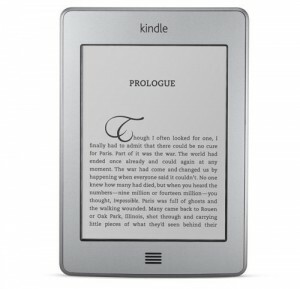 This format has met with mixed responses, given that for many the advantage of the eReader will always be its ability to reflow text to meet the demands of the reader in terms of font, text size, spacing, etc., but it does allow Amazon to add some content to the Kindle Store that would otherwise be difficult at best. Among those titles that Android users will now be able to make use of are thousands of comics, graphic novels, children’s books, and more. All forms of image heavy composition should benefit from improved use of the newer HTML5 based format. Kindle news is going to continue to center around the ongoing push to improve the Kindle Fire and its anticipated successor for quite a while, it seems. This is only natural since it is a huge undertaking that has thus far met with almost unbelievable success for a company so new to hardware development. It is reassuring to those who bought into the Kindle line as a reading method that this side of things is not being lost in the rush of things. By improving the Kindle Apps and further supporting the new Kindle file format, Amazon improves the reading experience for millions of people and attracts even more high quality content for readers to enjoy. With luck the trend will continue and more effort will be put into improvements across the board in months to come. 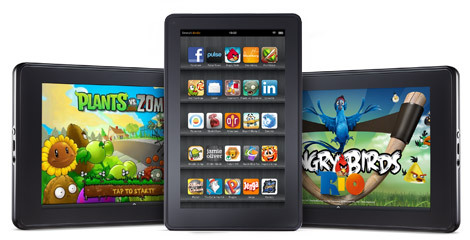 For a while now the big issue in predicting the ongoing success of the Kindle Fire has been the anticipated iPad 3. It was going to be a small scale device, roughly comparable in size to the Fire, and be priced closely enough that Amazon would have no choice but to step up in a huge way or give up entirely. So said the rumors, at least. Now that we know better, there is still the issue of what to expect in future releases from Amazon. Clearly their tablet interests are an ongoing sort of thing. 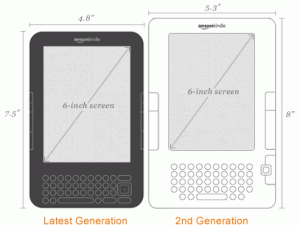 We already have fairly substantial rumors about the second generation of Kindle Fire being planned for this summer. If we take the original Kindle eReader as any indication, the first offering may have been little more than a probe into the market to see what potential there was for profit. Despite its popularity, the original Kindle didn’t hold a candle to the Kindle 2 even given the lack of substantial competition in the early days of the line and this has many wondering if the same level of improvement is in store for the Kindle Fire 2. The most recent semi-reliable rumors seem to center around a 10” Kindle Fire being in the works. This would be a simultaneous release alongside an update to the 7” version, of course, but it would indicate a serious change of approach by Amazon in drawing direct parallels with the market-leading iPad. This is not out of character in any way, looking at past ads that highlight both the Kindle eReader’s greater suitability for reading in sunlight and the Kindle Fire’s dramatically lower pricing, but drawing increased attention to direct hardware comparisons is a bold move. Cameras – both front and rear facing cameras suitable for video chat, probably VGA quality. Bluetooth – Kindle accessories are a big deal and this would open the door to everything from keyboards to wireless headsets. Essential for getting the most out of the tablet as a video player. 16GB+ Onboard Storage – The complaint about local disk space might be slightly over-emphasized for many users, but it’s hard to imagine not occasionally butting up against an 8GB limit. Cloud storage is great, but 16GB is not too much to ask. Android 4.0 – While this one is hard to say for sure, given potential complications with updating the Kindle Fire’s custom OS fork to take advantage of newer versions of Google’s product, the fact that it was designed with tablets in mind and offers a lot of new features means that an update must at least be in consideration at the moment. There will not be major changes of philosophy. Users will not be seeing slots for expandable memory, for example. There will also obviously be no chance of an open system that connects easily to Google Play. The new Kindle Fire 2, when it comes out, will be more of what we expect from the first generation in most ways. It will just take what is already an impressive experience and build on it to do the job better. Along with the Kindle Fire update, the Kindle Touch also got one as well. It is currently only available for manual download at the moment. If you want to download it see Amazon’s instructions on how to transfer it via USB here. I don’t really see anything major in this update that is worth racing to the computer to download, so I’d sit tight and wait for it to be available via Wi-Fi. The automatic update does all of the work for you. But, it is a matter of preference, and the option is there if you want to take advantage of it. I think it is worth pointing out how to check for updates. I learned my lesson first hand when I realized my battery was draining really quickly on my older Kindle. If you need assistance with the process, Amazon’s support is excellent. It is good to do this periodically because it can affect security, battery life, and the content on your e-reader. Tap “Menu’. Select “Device Info” If it says “5.0.3” then you’re good. Most likely it will say “5.0.” That will be greyed out until the automatic update is available. For the manual download, you will need your USB cord. Amazon is really vague about what is in this update, but one thing I’d like to see if smother page transitioning. My Kindle Touch has frozen before after being incredibly slow. This has only happened once, but there have been other reports of freezes. Touch screen technology is not quite up to speed with physical button transitions from what I can tell. You can’t turn pages as quickly as you can with the buttons. Another good improvement that goes along with smoother transitions would be to erase the previous page shadowing that seems to linger when I move on to the next page. Other than those two issues, I have really enjoyed my Kindle Touch. I especially like the grip on the back and sides, and the compact size. It fits much more easily in my purse than my Kindle 2 did. Stay tuned for the automatic update announcement. As I mentioned earlier in the post, until then the manual download with instructions is fully available on Amazon’s website. Something I didn’t consider at first, but probably should have, when I saw the details of the Kindle 3.1 software update this week was that it seems to introduce features highly applicable to improved use in classrooms. Admittedly, there are a variety of different ways to use all of these things, but this one stands out. Bear with me for a second. The most highly publicized feature, the “Real Page Numbers”, isn’t exactly as natural a thing as it seems. There’s not really such a thing as standardized pagination between editions of a book. If you grab a paperback and a hardcover of the same title, you can’t exactly expect to see page correlation. It’s actually more shocking when it’s there. The same can be true of two paperbacks purchased years apart. Where you need to have that consistency, though, is in a large group all actively discussing the same book. Usually that means a classroom. Besides the occasional book club, there simply aren’t that many non-academic reasons where you would need an actual corresponding page number. Now, I’m not talking about how nice it is or how enjoyable it is to users. That’s another discussion. But this is definitely one place where it will be extremely functional. The other big point, at least as far as I’m choosing to prioritize the new features, is the Public Notes option. Now, I love being able to share notes with friends. It’s even amazing to have the option of such an interesting mode of author/reader interaction. But where I see the potential is in professional annotation. One of the biggest problems I’ve heard of over and over again on college campuses, with eReaders in general and the Kindle in particular, was the inability to make use of scholarly editions of popular texts from Norton and the like. This would open up the ability to do something like that, probably with the option to toggle such notes on and off, and even let it be dynamically updated should the need arise. Accomodating, to say the least. Also related, though I doubt it was so much as a consideration in the formation, is the revised magazine formatting. It’s definitely easier to navigate things now that the quickie snapshot is available for moving around with. Since the screen doesn’t exactly lend itself to advertising anyway, I’ve always felt that the potential was greater for journal publications than popular magazines anyway. This just makes it that much better. Do I see anybody falling all over themselves to adopt the new format? Not really. That doesn’t make it a bad idea though, and I’d like more publishers to see the potential. Now, after looking at it a lot i really don’t think that any of this besides maybe the page numbering could be said to be directed specifically at the usefulness of the Kindle in schools. That doesn’t make it any less applicable though. Moves like these will make a lot of progress for Amazon when they try once again to break into the Academic scene. It appears that Amazon(NASDAQ:AMZN) has been doing some customer polling, or at least watching their forums, and came up with a few new features for an upcoming Kindle software update as a result. While this has not rolled out to the public as an official release just yet, they are offering an Early Preview of the update for manual download through the website at this page. I’ve got to admit, this addresses a few long standing concerns. Foremost among user complaints about the Kindle has often been the progress indicator. Hard to share a passage you like with friends and family when you can’t just suggest that they turn to a specific page in their own copy, right? Well, now Amazon is adding in corresponding page numbering between print and digital copies of their library, beginning with the top 100 most popular books that offer both formats and moving on from there. You know how you can annotate and highlight things in your favorite Kindle books? Well, now you’ll be able to share those markups with anybody who’s interested. It opens up new avenues of communication for friends, families, reading clubs, authors, and pretty much anybody who spends time seriously thinking about their reading. Note that this is an optional feature that is not turned on by default, so there is no danger of sharing inadvertently as far as I can tell (if that’s a concern for you). Many people have realized the flaw of the user rating system on Amazon and many other sites. Often users will only make the effort to comment if the book was particularly bad or amazingly good. Even then, if you can’t get to it right away while it’s fresh in your mind, what’s the point? Now, when you finish your book you will be given a chance to rate the book, share a note on the book (via the Facebook and such),and get some recommendations on things to read both based on the author you just read and from a selection of more general personalized recommendations. It’s fairly unobtrusive and shouldn’t negatively affect your reading experience, while at the same time having the chance to improve the reliability of the rating system on the Kindle store. Magazines and Newspapers are becoming a bigger and bigger thing in the eReader world. The new layout makes them that much easier to browse. There’s not much more to say about it than that it makes more sense this way and seems to speed up browsing magazines for the Kindle considerably. Lots of fun new stuff to play with in this Kindle software update. Nothing game changing, necessarily, just a bunch of stuff that users have been asking for. It’s nice to see that Amazon’s still interested in getting the Kindle updates going out even when there aren’t any major problems needing to be addressed in the software. I’m going to play around with it a bit more and post some impressions in the near future if I get a chance. Let me know how it’s working for you. 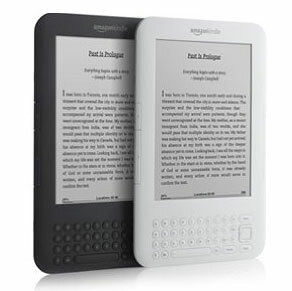 Preorders are now available for both the 3G + WiFi Kindle 3 and the much anticipated WiFi-only Kindle 3. The improvements on both models(the only difference between the two being the exclusion of 3G coverage from the WiFi model and the lower price that that entails) are quite noticeable, if a bit less drastic than many people were likely expecting. Now, I’ll freely admit that the only thing I was set to care much about was the improved screen. And, to address that point, it looks like it will be as amazing as could be hoped for. That said, I love the body redesign. It’s smaller, lighter, easier on the eyes, claims to have quieter page turn buttons, a more pleasantly textured backing, and has done away with the annoyingly protruding navigation stick in favor of a directional navigation pad. If there were ever a reason not to Kindle, it’s flown right out the window. So far all pre-orders are due to be shipped on a release date of August 27th.